I made this unique table centrepiece using a stunning purple gerbera I had dried, as well as some lovely violets and some geraldton wax I also dried myself. 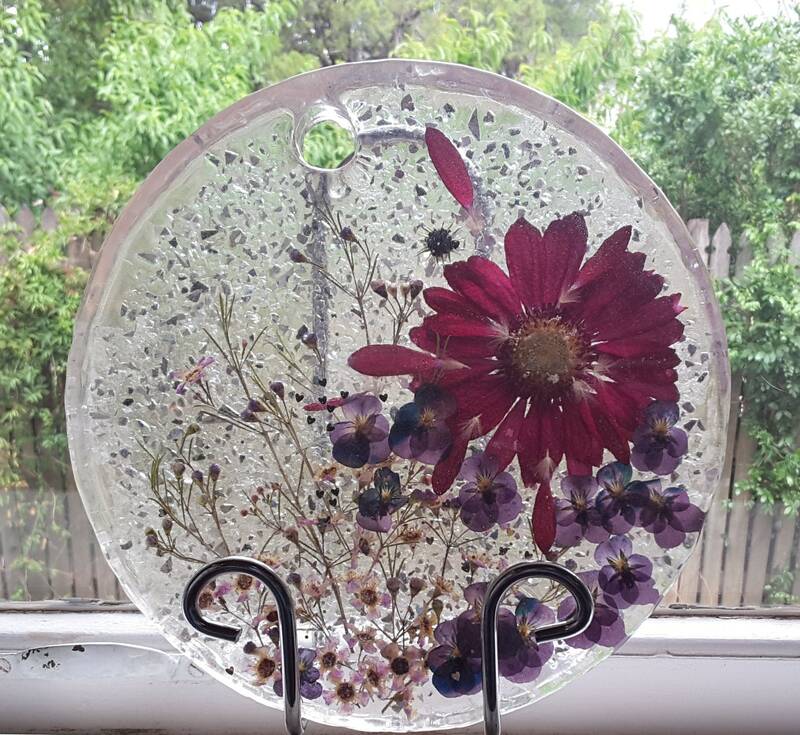 Embedding the flowers in food safe resin, this piece is intended as either a decorative cheeseboard or a table centrepiece. It would look great as a feature for your table or just leaning against a splashback. It could also be used in the bathroom. This is a one-off piece. Having said that, I'm drying lots of other beautiful flowers so some of them may find their way into other items in my shop!